In order to prepare for your ACLS Class there are a few items that we suggest and require that you do before your class date. You should start by taking your ACLS Pre-course assessment. There is technically no passing score on this exam, but a grade of less than 80% suggests that some review work may be needed. Click on th elink below and take the test. The result page at the end should be printed out and brought with you the day of the class. We have been asked by some people for help with understanding EKG Strips. The AHA has designed the ACLS course that the provider has a basic understandinjg of EKG Rythms, use the link below to review and practice your interpretation of the more common EKG Rythms. 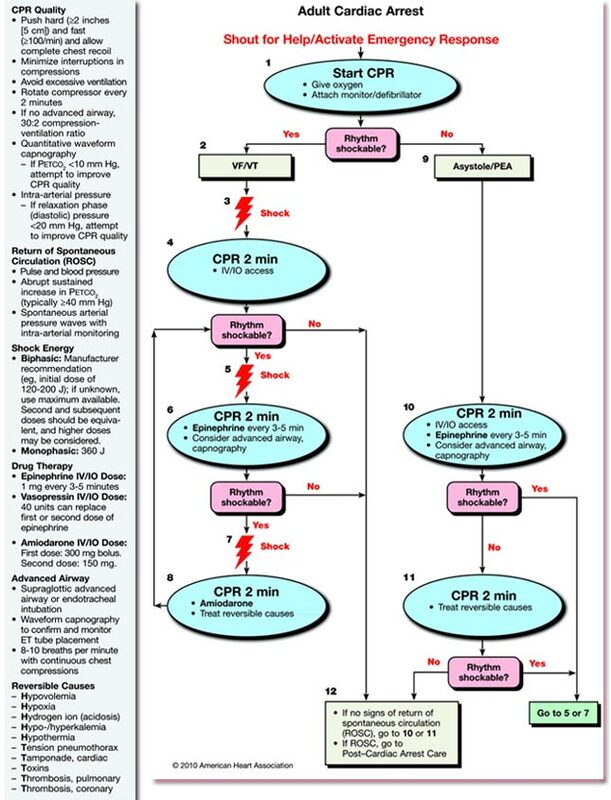 In 2015, the AHA had designed new guidelines to be followed for BLS, ACLS and PALS. The link below will direct you to this document.